*Work up to a heavy set of 8 reps. Keep that same weight for 3 sets on the minute send off. Then, 1 x max rep set @ 70% of your heavy 8 rep weight. Hang power clean & jerk, 8x3 reps on the 1min. 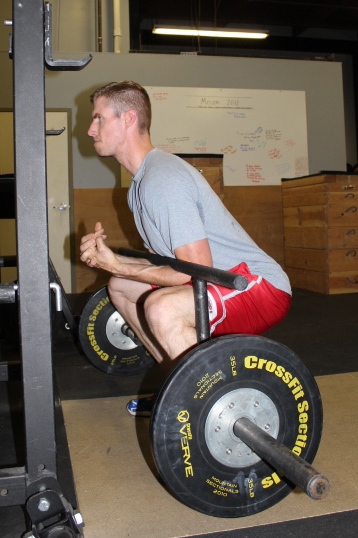 *Barbell remains on back for 5 minutes accumulating as many back squats as possible. *Must do 3 movements consecutively without coming off the bar to equal 1 set. May rest in between sets. 2nd minute- push 5 meters, do not turn prowler around simply move to low end, and push back another 5 meters. 3rd minute- 5 meters back and forth 3 times. . .
Keep going until you can not keep up with the clock. *Row 300m(250m) in 1 minute, rest the next minute. Complete as many rounds as possible with a 1min pace. *5 burpee penalty for every break in T2B, to be added up and completed at end of EMOM. Alright my little cupcakes. We had one of our original Hotdoggers pass away this past weekend. Andrew was one of the first guys to join the HCDD classes at Verve. He was always very committed to the programming. He will be greatly missed. Please stand by for more info on donations to the family. 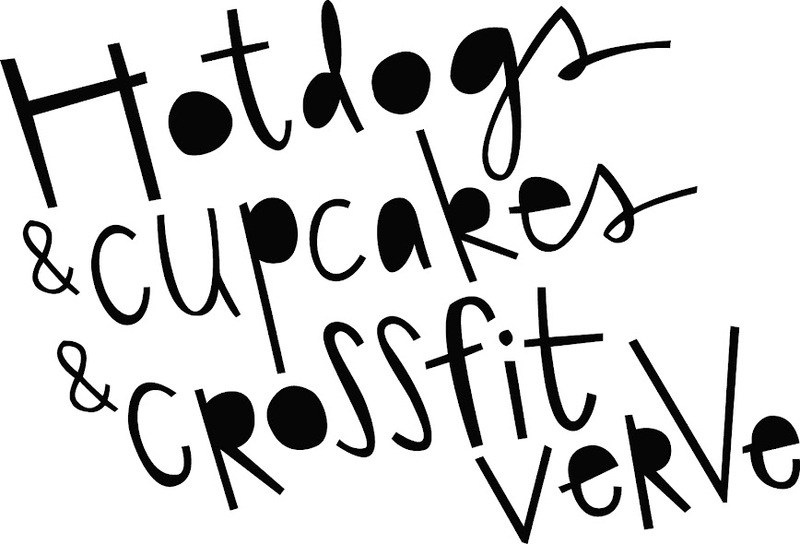 What is Hot Dogs & Cupcakes? Well, it's a work in progress - much like we all are. HD&CC was originally started as a blog between two buddies that challenged each other to workouts that addressed their weaknesses. CrossFit.com took care of the conditioning and GPP, but certain areas were left underdeveloped... particularly absolute strength and high level body positioning common to gymnastics. Want to jump on board and not sure where? You may go back as far as you like or just a few months, but try starting on the first day/ first week of any "Wave 1/ Phase 1". Earlier programming was set for 3x per week but as we grow so does the program, and now we have it going 4x per week. Try to stick to a 4x per week schedule, optimally hitting a max effort on Monday and Friday, and a dynamic effort on Tuesday and Wednesday. I would recommend doing CrossFit.com 3-4x per week as your conditioning, but monitor your recovery closely. 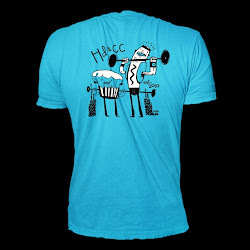 HD&CC is very demanding, as is CrossFit.com... if you don't have a base level of GPP - go to CrossFit.com and get it on. Please send us your pictures of you performing the HD&CC programming so we can post them to our blog. Have questions? Post to comments... I'll monitor you little cupcakes.